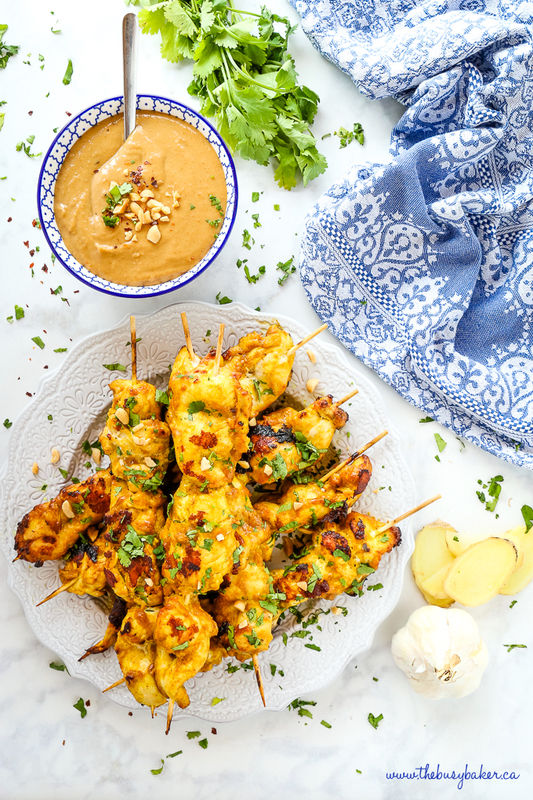 This Easy Homemade Chicken Satay with Peanut Dipping Sauce is a perfectly delicious way to enjoy Indonesian food at home! 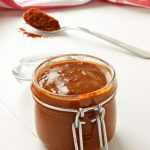 It’s easy to make with a super simple marinade and creamy peanut sauce made from basic pantry ingredients! I don’t know about you but every time I get the chance to experiment with new ways to prepare boneless skinless chicken breasts, I take it! This Easy Homemade Chicken Satay with Peanut Dipping Sauce is my twist on a classic Indonesian Chicken Satay (also a popular food at many Thai restaurants). The chicken is juicy and SO flavourful, and the creamy peanut dipping sauce is so easy to make. You’ve GOT to try this one!! 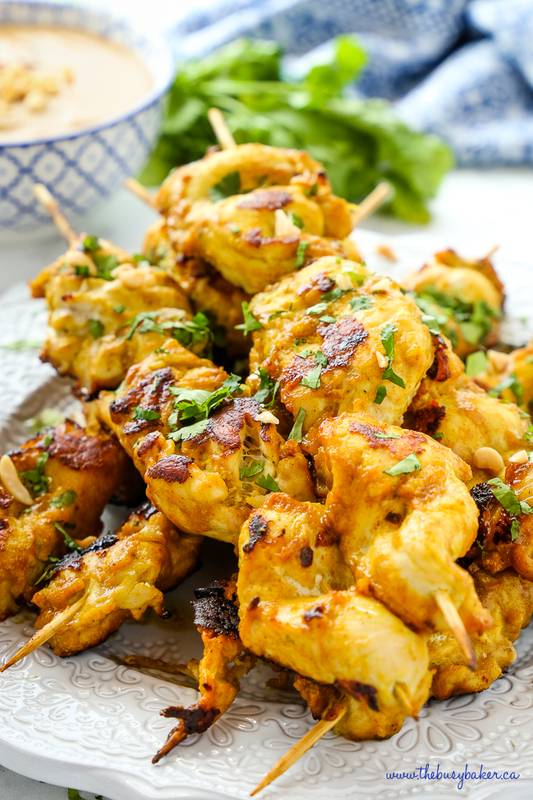 This Easy Homemade Chicken Satay with Peanut Dipping Sauce is so simple to make – just combine the marinade ingredients in a fridge-safe container, place the chicken pieces in the marinade, and let sit for a few hours in the fridge. 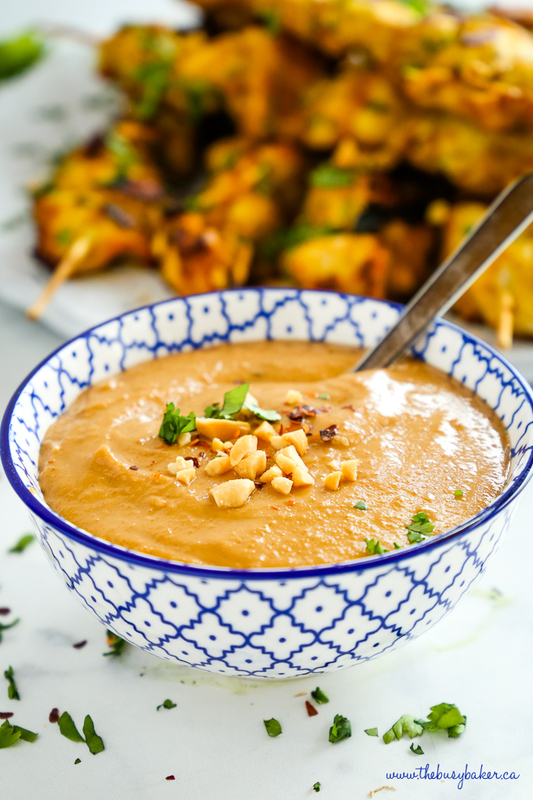 Prepare the peanut dipping sauce (it’s a super easy one-bowl recipe – just whisk all the ingredients together and let sit to let the flavours develop), skewer the chicken and grill to perfection! It’s that easy!! 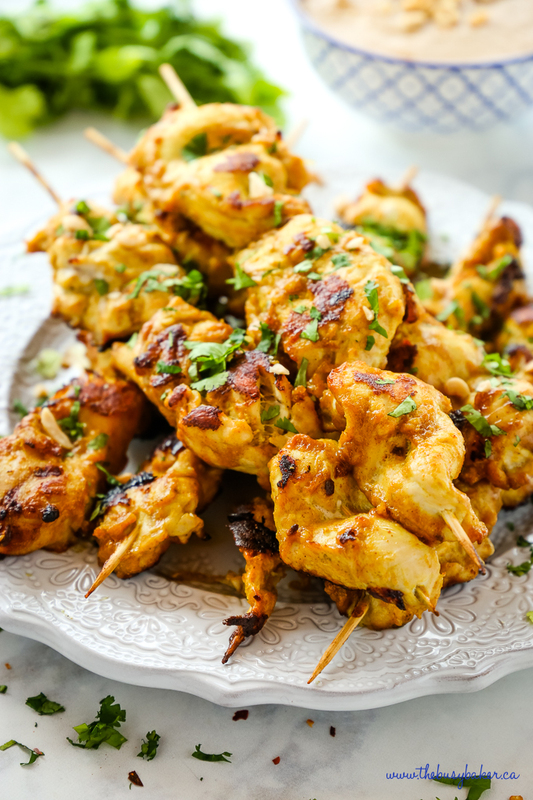 You might think this Easy Homemade Chicken Satay with Peanut Dipping Sauce is one for the summer barbecue, but it’s equally delicious all year around and so easy to make on an indoor grill, in a cast iron pan on the stove, or even on a pancake griddle (true story!). 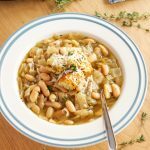 Looking for more delicious recipes? 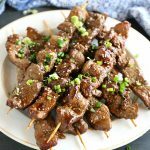 Try these Easy Korean Barbecue Beef Skewers! 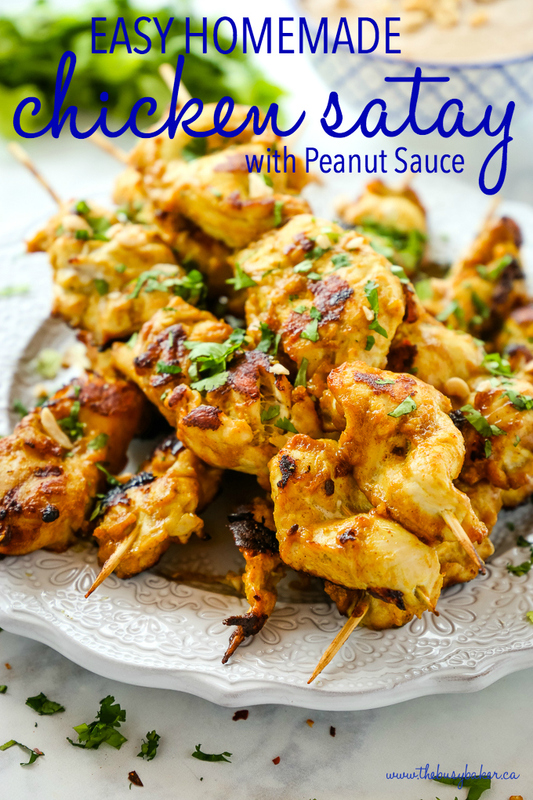 I hope you love this Easy Homemade Chicken Satay with Peanut Dipping Sauce as much as we do! Let me know in the comments below, what’s your favourite food to eat on a skewer? I’d love to know! 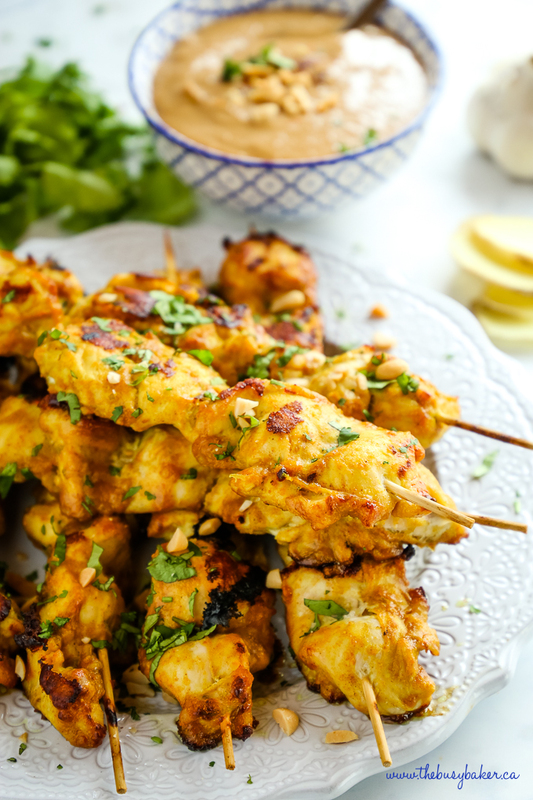 This Easy Homemade Chicken Satay with Peanut Dipping Sauce is a delicious Indonesian treat - tender chicken, a simple marinade and creamy peanut sauce! Slice the chicken breasts into long thin slices and set aside. In a medium bowl, combine the curry powder, turmeric, cumin, brown sugar, ginger, peanut butter, Sriracha, garlic, soy sauce, lime juice and zest, fish sauce and coconut milk, whisking everything together until combined. 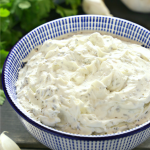 Add the chicken pieces to the marinade and place in a fridge-safe container (or cover the bowl), and let sit in the fridge for one to four hours. While the chicken is marinating, if you're using wooden skewers soak them in water for about 30 minutes. This will prevent the skewers from burning during cooking. You can also prepare the dipping sauce while the chicken is marinating. 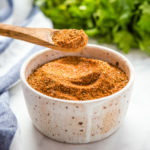 Simply whisk together the soy sauce, rice vinegar, red pepper flakes, brown sugar, ginger, sesame oil, peanut butter and coconut cream in a small bowl until smooth and creamy. Set aside at room temperature while you cook the chicken. Weave the chicken pieces onto the soaked skewers (or metal ones, if you have them), making about 8 skewers in total. Grill the chicken skewers for about 7-8 minutes per side on an indoor grill on medium-high heat (or in a large cast iron frying pan, or on a pancake griddle) until completely cooked through. Chicken should reach an internal temperature of 165 Fahrenheit (75 Celsius) when it's safe to eat, so be sure to test it with an instant-read meat thermometer. 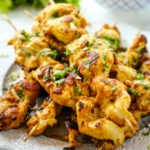 Serve the chicken skewers immediately with the peanut sauce for dipping, either as an appetizer or as a main dish alongside some rice and steamed veggies. Garnish with chopped peanuts and fresh cilantro, if desired. These are delicious! My kids love eating them because they’re “on a stick”, haha! Total Mom win! Thank you for sharing this it looks so tasty!! 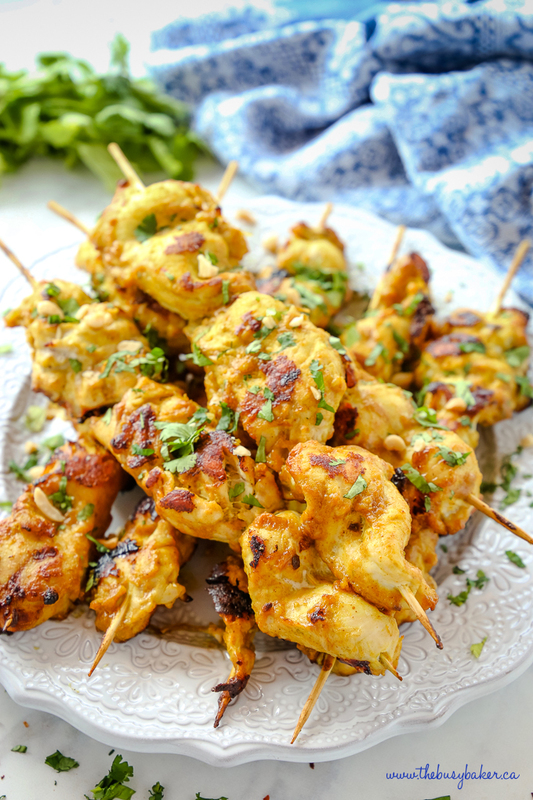 Absolutely crazy about chicken satay, this looks incredible. This look so delicious! 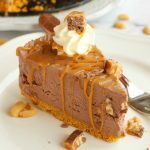 Love how packed with peanut this is! I want to try these asap. This sauce look incredible! This chicken dish looks amazing! I want to devour this chicken asap! This looks incredible. 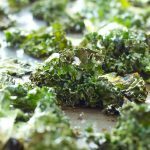 I’m loving all these new recipes I’m running ing into this year so far!